Joe Cockrell, Executive Director of Communications and Media Relations, is a former journalist with more than 20 years of professional experience in news, media relations and corporate communications. He manages university communications, serves as the institutional spokesperson and primary liaison to news media. Throughout his career, Joe has demonstrated his expertise as a storyteller and media relations expert who knows how to leverage compelling content for both internal and external audiences. He joined University of St. Augustine for Health Sciences in 2018 with an emphasis on public and media relations, thought leadership and internal communications. Joe started his career as a reporter and TV news producer and has more than a decade of experience leading public and media relations for institutions of higher education. 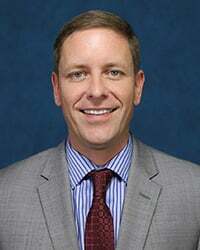 Prior to joining University of St. Augustine, he served as the Vice Chancellor of Communications at Brandman University, which is part of the Chapman University System in California. He previously held senior public relations positions at West Coast University, University of Phoenix, UNLV and Marquette University.